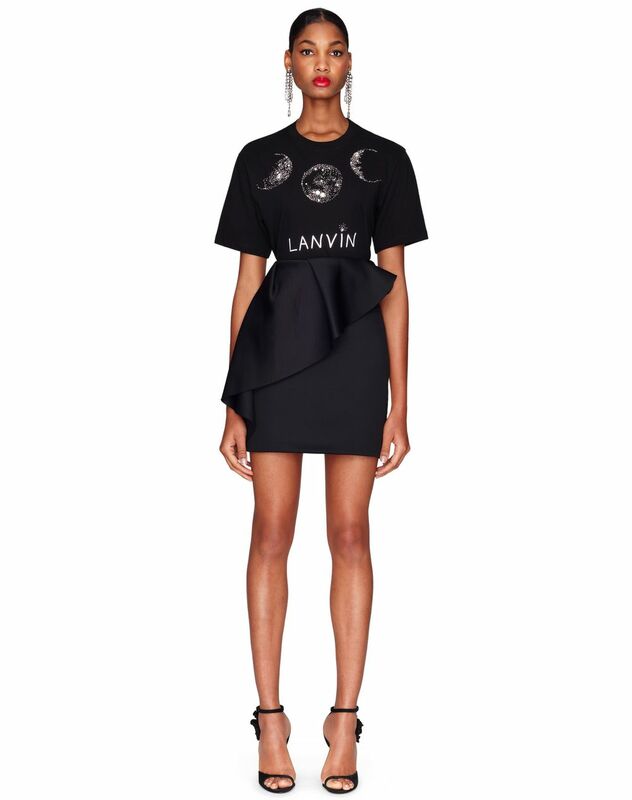 Short skirt in black neoprene, high waist with asymmetrical ruffle inset and lacquered zip appliqué on the side. 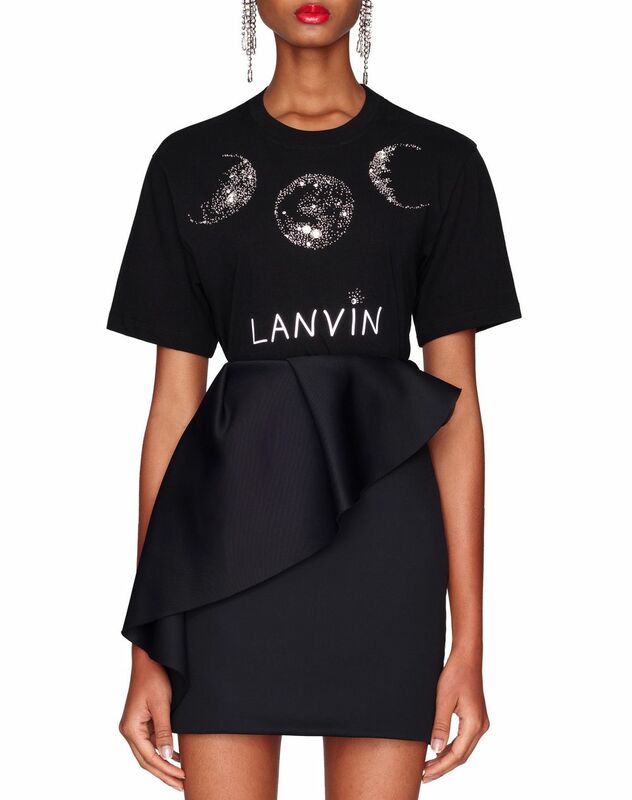 This black neoprene skirt stands out for its mix of shapes and its super comfortable material. 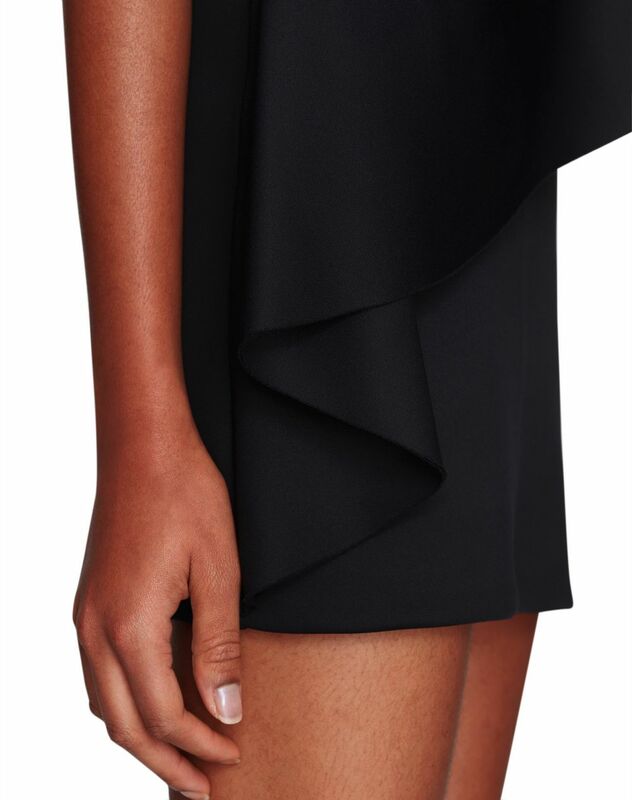 Embellished with asymmetrical ruffle insets and a lacquered zip appliqué that contrasts the matte effect of the neoprene, this skirt will pair perfectly with your wardrobe for a modern, feminine look. Main material: 100% polyamide knit. 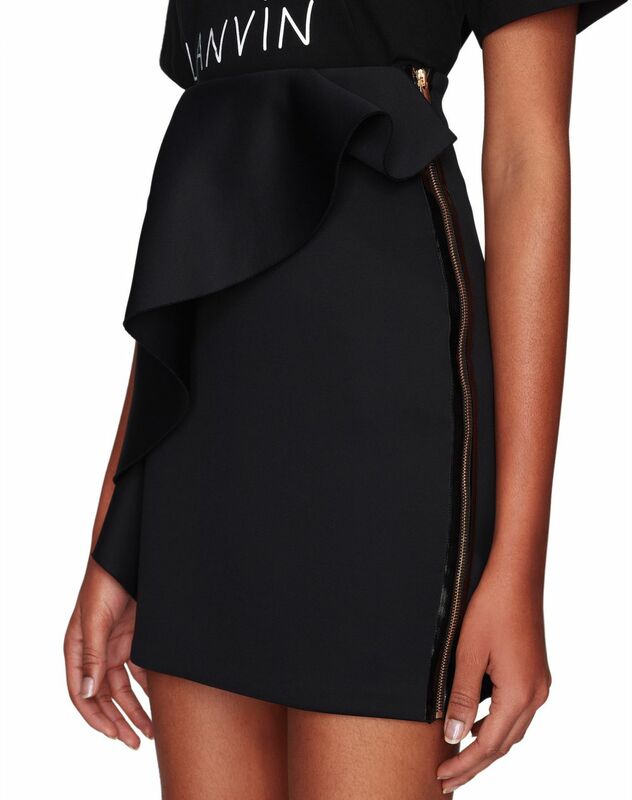 Model's measurements: Height: 179 cm Bust: 72 cm Waist: 57 cm Hips: 87 cm Model wears a size 8. Made in France.